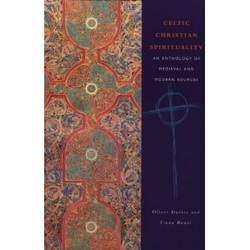 What we call Celtic Christianity today has long been of considerable interest to many, even though we have not all understood what we mean by it in the same way. My interest developed when I began to look more closely at my own Welsh literary and religious tradition and was struck time and again by how ‘off-beat’ it seemed in comparison with the medieval traditions I knew from Germany and elsewhere in Northern Europe. 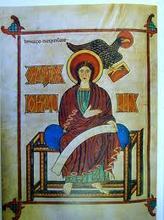 In early texts, the world, or at least the language, of ‘druids’, combined with classical forms of the Christian life. One text, Food for the Soul, seemed to fuse native traditions of poetic inspiration with scholastic learning. Only in a ‘remote’ (and therefore potentially very interesting) Christian culture could one world feed into the other in that way. The tipping point for me came when I first read the newly edited text of a medieval Welsh poem (entitled Addfwynau Taliesin or ‘The Loves of Taliesin’ - see link below) in a doctoral thesis. It seemed inconceivable that such a life-affirming poem could have been written about the world and the everyday life of the senses, in medieval Europe. This motivated me to write a monograph on early Welsh Christianity, drawing chiefly upon literary or theological sources. 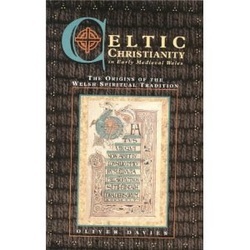 ‘Celtic Christianity in Early Medieval Wales’ sought to make the case for something quite out of the ordinary in Welsh religious tradition, which included many elements of the imagination and the senses that are of real importance to us today. Over time, it became apparent however that it was necessary to see the Welsh tradition alongside that of Ireland. In many ways these two places were much more closely linked then than they are today. 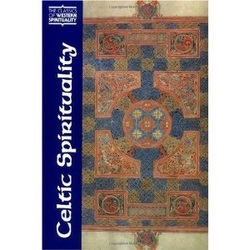 Celtic Spirituality in the Classics of Western Spirituality series was my attempt to make many of the key sources available together with a reliable contextualisation of their meaning.